The hotel’s indoor pool was large & clean with warm water. The gym was very good. The room was great. Very Comfortable. Loved the Jacuzzi. Friendly staff. Excellent idea of having a free shuttle to and fro from the town center every hour. Lovely view of the Heyder Aliyev Museum from our room window. Restaurant food was awesome. Loved the SPA and the Massive swimming pool is superb. Gym Facilities are excellent as well. Loved the idea of the walking track in the Gym. The stuff all stuff was so helpful and friendly, they were treating me as if I'm one of their family, Specially Yeltsin & Kanan & third one unfortunately, forgot his name but at 28/9 he was working with them. they were amazing guys. The strongest reason to visit Baku again and to stay at the same hotel those guys!! The food was excellent and diversified. Rooms are big and so clean and comfortable, but old a little bit need to renew. The staff were exceptionally kind and helpful. Very lovely. Excelsior Hotel & Spa Baku This rating is a reflection of how the property compares to the industry standard when it comes to price, facilities and services available. It's based on a self-evaluation by the property. Use this rating to help choose your stay! A 15-minute drive from Baku Airport, the luxurious and 5-star, Excelsior Hotel & Spa Baku features rooms in a variety of modern and classic styles, a large swimming pool and excellent spa facilities. The Excelsior Hotel & Spa Baku welcomes guests with a grand exterior and spacious, marble-floored lobby. 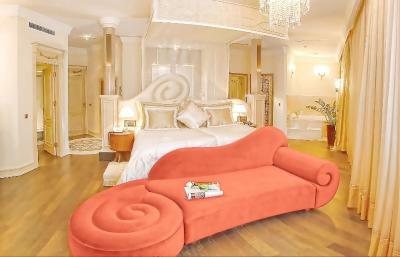 All elegant rooms have satellite TV, hot drinks facilities and high-quality sofas. Some feature a flat-screen TV and spa tub. 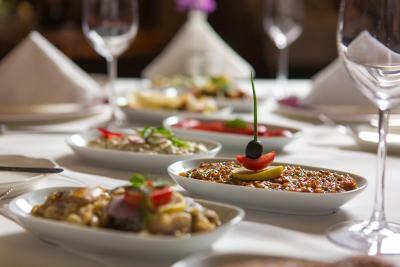 Guests can enjoy delicious buffet breakfast and international cuisine combined with the best fish plates in town, at the hotel’s stylish Belvedere Fish & Steak Restaurant. Excellent pastries and exotic tea selections can be tasted in the boutique-style L’Patisserie Cafe. 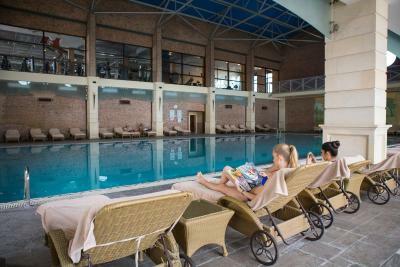 The Excelsior Hotel & Spa Baku's relaxing Aura Spa has a high-tech gym and outdoor tennis court. Sauna and massage services are available. Baku Train Station is 2 miles away and landmarks such as Fountain Square and the Presidential Palace are within 3 miles of the hotel. 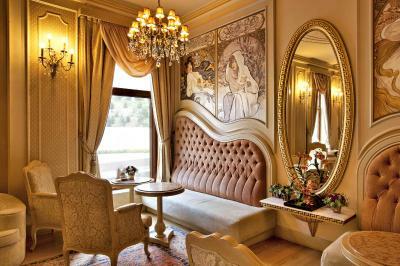 When would you like to stay at Excelsior Hotel & Spa Baku? 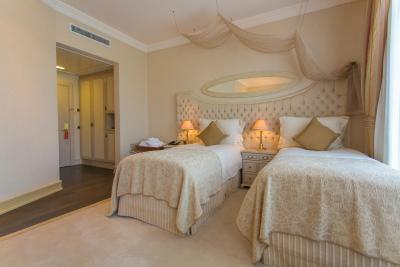 Luxurious suite, with separate living room, flat-screen TV, DVD player, walk-in-wardrobe and balcony. Bathrooms feature guest toilet and spa tub. Modern, stylish room with elegant sitting area. Bathrooms feature a relaxing spa tub. 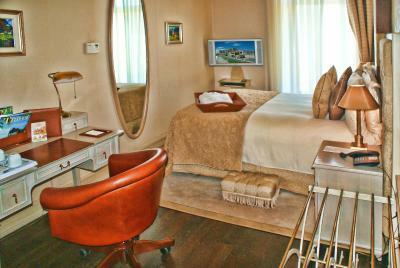 Spacious, classic-style suite with separate living room, flat-screen TV, DVD player and walk-in closet. Bathrooms have a guest toilet and spa tub. This air-conditioned room features a tea and coffee maker, a flat-screen TV, and a minibar. It comes equipped with an in-room safe, desk, and has a private bathroom with a hairdryer, slippers & bathrobes. Complimentary wireless internet access is available. 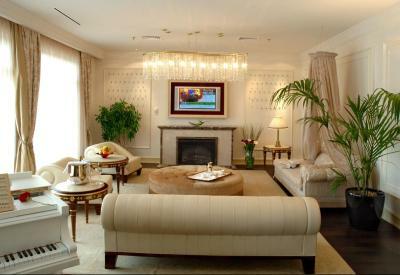 Guests must be 18 years of age or older to make a reservation for the Presidential suite. 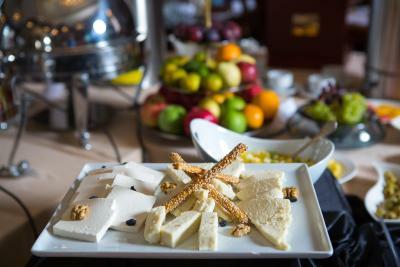 House Rules Excelsior Hotel & Spa Baku takes special requests – add in the next step! 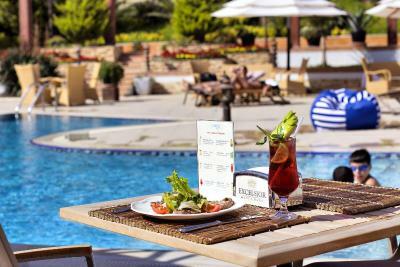 Excelsior Hotel &amp; Spa Baku accepts these cards and reserves the right to temporarily hold an amount prior to arrival. Excelsior Hotel & Spa Baku accepts these cards and reserves the right to temporarily hold an amount prior to arrival. 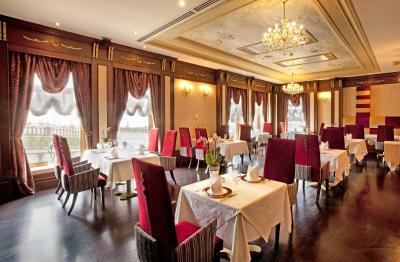 Please note that the hotel does not accommodate non-married Azerbaijani couples. All Azerbaijani couples must present a valid marriage certificate upon check-in. Please note that if you check out prior to initial check-out date a change of 100% per 1 night will be charged in addition to the cost of the stay. This policy is not valid for nonrefundable rate. Please note that smoking rooms are subject to availability. Please use the special request box when making the reservation. Please note that 1 extra bed is available in all rooms. Please note that one child can stay free of charge, while using existing beds. The second child stays at surcharge of 30 AZD. Guests younger than 18 years old can not stay in the Presidential Suite. Guests may not be able to use the outdoor pool if there is an event in the pool area. good location. good staff and excellent facility. Air conditioning had issue. It was not working at a desirable level. Covered it up by opening the window. Staff was nice. Breakfast was nice. Location was ok. Helpful indeed. Bathroom was good. The air conditioning caused a bit discomfort as the temperature went too high to 27 degrees. Happened on two consecutive nights. The front desk guy told is to switch it off while the maintainance guys said they will adjust the chiller. The room cleaning was very poor. The bed wasn’t tucked properly most days and towels were changed to dirty ones. Several times the cleaner came into the room unannounced. The staff and hotel was really nice. Khayala helped to arrange flowers and cake for a birthday. And they arranged a few trips that turned out to be from a very reliable company. The jacuzzi of the room did not work & no one fixed it despite we mentioned it 3 times to the reception desk. Some lamps did not work. Breakfast was no so great in quality & variety. Not a 5 star hotel ! Over all is good, Special thanks to taimour, sivinch and all staff members for cooperation. 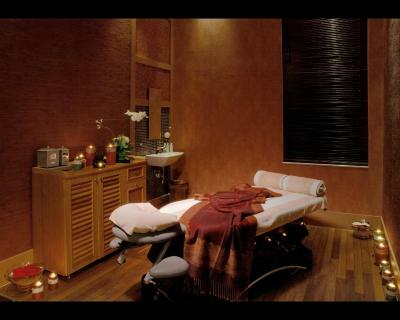 Very helpful personal, beautiful rooms and place, super spa. Hotel is perfect only they can do a better job with 50% less of the labor and management, there are to much employees walking all day around. Room furniture and appliances outdated. Bed uncomfy (mattress too soft). Only 1 electrical socket (on the floor) in entire suite for water kettle (to be placed on the floor) or Smartphone charging. Another socket in bathroom next to bathtub (not recommended for use while in the bathtub). Housekeeping not in charge of food removal or minibar refill. For this you must call room service or it is left unattended during your stay. Dark corrdiors. No lobby area. Breakfast standard for 3-star properties. Indoor pool 1.70 mtr in all areas. Only for experienced swimmers, not recommended for kids. Overpriced for what you get. Room (royal suite) sufficient space for short stay. Nice bathroom set-up. Large balcony (for suites only I think) if you dont mind the permanent wind (after all it is Baku). Food tasty. Large indoor pool and gym. Staff generally friendly. Good for locals using the pool and gym.